You can’t expect real estate clients to come to you. To get new clients as a real estate agent you’ll have to do some real estate prospecting. As a new agent, you can’t just count on referrals, word-of-mouth, and marketing and promotional efforts. In order to get your real estate business rolling you’ll need fresh real estate prospecting ideas, as well as a solid prospecting plan. Use the following steps to build and maintain a list of good real estate leads. Calculate how many prospects you need to contact in order to lock down a buyer’s or seller’s listing appointment. Veteran agents suggest that beginners start with five contacts per day, one secured lead per day, and one secured listing appointment per week. However, you should also talk to your broker about the firm’s average or what is standard for your market. 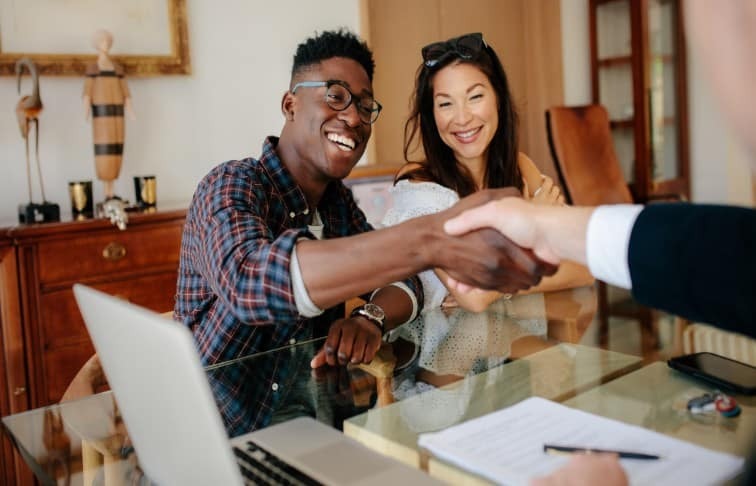 Getting new clients as a real estate agent is hard work, but relying on your brokerage to help you set goals and procedures takes some of the guesswork out of it. Remember that you’re new at this. Like most people, you will need a warm-up period to gain confidence and ramp up your prospecting skills. So it is better to set more manageable goals initially. Prospecting is essentially any activity that directly involves verbal or in-person contact with people for the sole purpose of obtaining their business. In order to see results, it important to commit to real estate prospecting tactics and follow through on them. After you’ve tried each idea fullheartedly you can assess if you’re getting the best return on investment or if you need a new strategy. Contact the owners of expired, for sale by owner, and foreclosure listings. Sponsor an open house for a seller, in which you actively solicit other people’s business. Even if you’re just getting started and don’t have a large network, there are tactics to get new clients you can integrate into your plan. Certainly you want quantity, because the more leads you build the better your chances of drumming up enough business to meet your goals. However, you don’t want to waste your time focusing on cold leads and dead ends. If your prospects are not ready to make a real estate decision, don’t make them a top priority. Now that you know what to do, get on the phone, tap social media, and hit the streets. The sooner you start building your pipeline of prospects, the quicker you can start making money. For more real estate prospecting ideas, check out our previous article: 5 Real Estate Prospecting Plays for New Agents. Not licensed yet? Watch the brief video below to learn how to earn a real estate license in your state.